In the mid-19th century, Ludwik Zamenhof (scientist and philosopher) engages with the ambitious task of creating a language to unite all cultures in a common language. The idea and purpose of Zamenhof was to reduce ethnic tensions between nations, but alas, the idea was too ambitious. 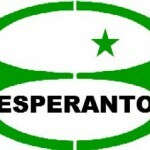 It creates Esperanto as the first and most popular artificial language that is spoken until today. The calculations are very difficult because speakers of Esperanto are too scattered and that language is not official for any country.